POS is the setup you have in place for processing face-to-face payments from customers. 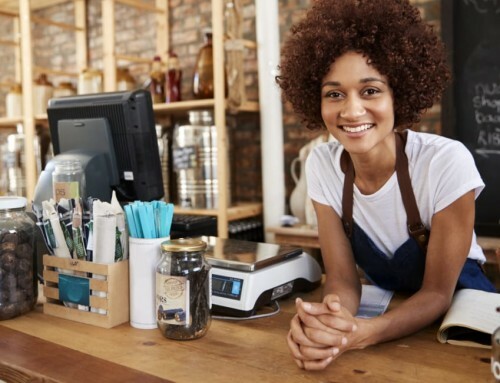 POS is not a standalone machine or process – it’s a constellation of things that together enable you to process customer-facing transactions efficiently and streamline business processes connected with your sales. The setup will vary in look and functionality depending on your choice of technology, what payment methods you accept, whether you print paper receipts, how you record sales and organise end-of-day bookkeeping, and the inventory systems you have in place for your products. Let’s go right back to the basics and talk about how customer transactions have been processed, what a POS system typically consists of, and touch on some of the options now available to businesses. Just a few decades ago, a point of sale system was, in its most basic form, a cash register. The earliest cash registers wouldn’t even “know” what products cost. The person operating the till would manually enter the prices of purchased items, often with the help of price tickets. They would then take the money, place it in the cash drawer and hand the customer a paper receipt. In some cases, the only record of the transaction would be the paper copy of the till roll. As point of sale systems evolved, they became more computerised, storing a product database on a computer server. Often, they would include a barcode reader so there is no need for manual price entry, while also storing transaction details electronically. Older-generation cash register with inbuilt receipt printer and manual price entry. Nowadays, things are far more sophisticated. 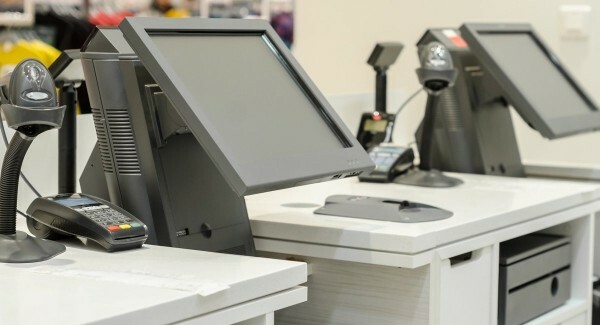 While some retailers still use systems as described above, many are moving on to advanced cloud-based POS systems where data is stored online. 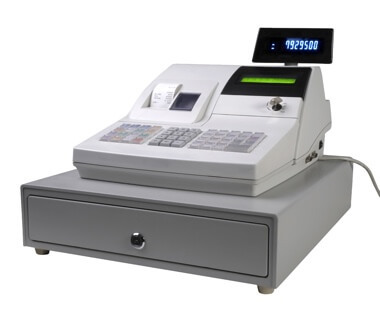 Modern POS systems consist of hardware and software components. The software is what registers, processes and stores transaction details, but there are crucial differences in how it is stored and used between different POS software systems. All modern POS systems have a frontend interface for the point of sale and a backend (sometimes called ‘backoffice’ or ‘dashboard’) side for behind-the-scenes analytics and management functions. The staff processing the transactions use the frontend interface, normally on a touchscreen monitor or tablet screen. The backend is accessed separately in a browser or application window either on the same device or separate computer or mobile device. Software is installed ‘locally’ on your own server, i.e. on a computer based on the premises of your store. Requires you purchase one or more software licences. You’ll need to maintain and manually update this kind of software. As all the software is based in your closed computer network, it does not require the internet. System is hosted online, i.e. data are stored on your POS provider’s internet servers, enabling you to access it from any computer browser. Also called software-as-a-service (SaaS), this system is automatically maintained and updated by your POS provider, although it is always recommended you’re using the latest version of the POS app. For a while, on-site POS software has been the norm for computerised POS systems, but it is now more common to use cloud-based or hybrid systems relying on both the internet and local hosting. On-site POS software tends to be expensive to set up, often requiring professional assistance and maintenance. Cloud-based systems tend to be cheaper (usually paid as a fixed monthly cost) and with more options to integrate with other software programmes. Finally, POS applications can differ hugely in terms of what features and layout they have. Each business sector has their own needs that specialised POS applications accommodate for. For instance, restaurants need a table layout to attach orders to and may want a self-service menu interface so diners can order at their tables before being served. Specialised restaurant POS apps can offer this and many more restaurant functions as part of the same package. You may also like: What is a cloud-based POS system? 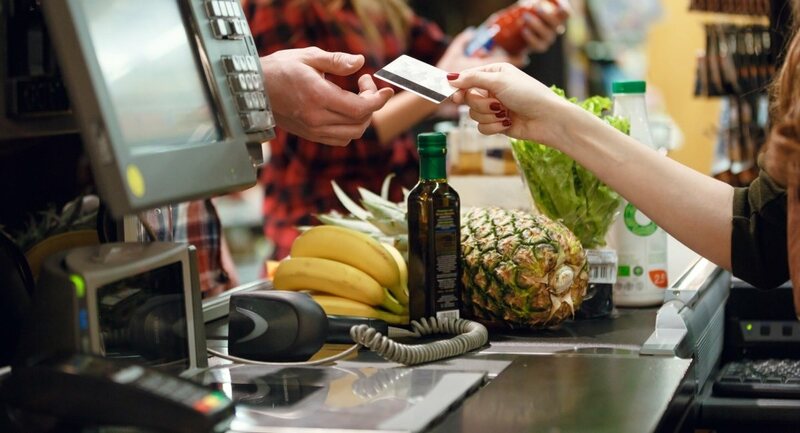 Businesses will have different needs when it comes to point of sale hardware. Let’s look at some of the most important hardware components. Interface/device where you register transaction details: Could for example be a cash register with buttons, touchscreen PC monitor or mobile device with a POS app. Cash drawer: Used to store the daily takings and cash float along with cheques, vouchers, receipts and slips relevant to accounting. Receipt printer: Used to print receipts for customers or end-of-day reports for cashing up. Barcode scanner: Typically used in retail environments with many different products. Commonly linked with the POS system’s stock level counts so it automatically updates product counts according to items sold. Card machine: Used to process payments made by debit or credit cards or mobile wallets via NFC. Traditional card machines require software installation (if not included) and SIM card or landline cable, while app-based card readers use WiFi or network data from a connected mobile device. Network devices: Whether you’re relying on a cloud-based or on-premise system, you’re likely to need a network setup for an internet connection or to link up your computer system on the premises. This could be e.g. a router, modem or hub connecting several local computers. The hardware and software that’s best depend on your business needs. You may, for example, not need a cash drawer if the majority of sales are through card. Or maybe you need a portable system that works in a marketplace as well as inside. Let’s look at some examples of different points of sale. 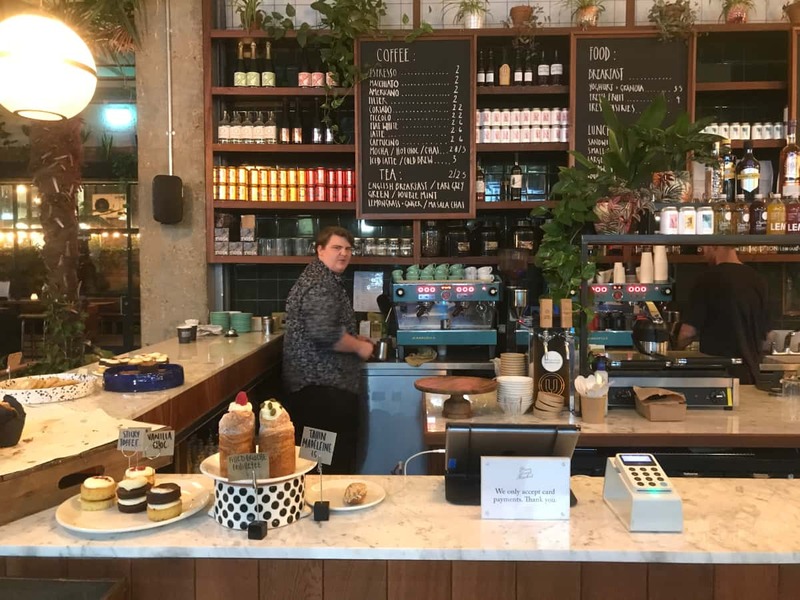 A small café could choose to accept cards via a cloud-based POS application on an iPad connected to a Bluetooth-connected compact card reader. If taking cash, a cash drawer is important for maximum security. It is now the norm for POS apps to send receipts via email or text, so in theory, a budget POS setup could exclude a receipt printer. However, it is still a requirement in some countries to provide a paper receipt when asked for it, so you may not be able to do without it. With the cloud-based POS, the business owner can check sales from home in the POS back office account and send a daily Excel report to the accountant. The person cashing up in the cafe just needs to clock out on the iPad, check discrepancies between registered transactions and actual cash and card takings, organise banking and any other important end-of-day activities. A shop might choose an on-site POS system if their internet is not reliable or they prefer having all data stored on their premises only. The equipment is usually non-portable, installation requires professional help, and the software usually needs an IT person to physically come and perform them on-site. All of these costs add up, hence why it is mainly large retailers with the resources who are still opting for on-site POS. A supermarket checkout is one of the most comprehensive types of POS, simply due to the volume and variety of products that need to be registered (sometimes priced by weight), prepared (alarm tags taken off, bagging items quickly) and paid for. Retailers also have certain functionality that should be incorporated in the POS system, spanning from an inventory library to keep track of stock levels to hardware tools like a scale on the counter (for food priced according to weight), barcode scanner and a device for taking off alarm tags of liquor bottles or clothes. The most complex checkout system is usually a supermarket till point, due the variety and volumes of products sold. The more specialised the products sold, the more specialised the point of sale can be. Food and drink sectors like restaurants require a different set of features in the POS software than retailers. For one, it might need a way to send food orders to the kitchen in real time (perhaps through a connected kitchen printer), tipping options and a booking system for taking table reservations. Example of a restaurant counter with touchscreen POS software by Lightspeed, connected receipt printer, card machine and cash drawer. 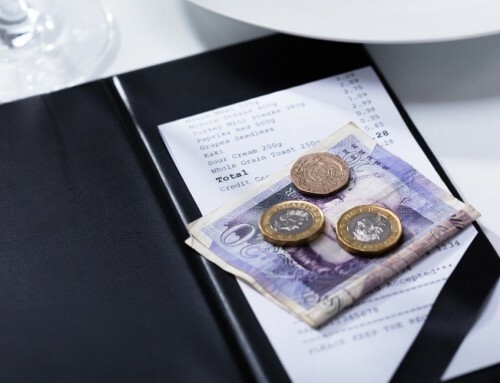 If the restaurant has primarily chosen a cloud-based POS system but their internet is not 100% reliable, they can connect an on-site server enabling the software to function when the internet is down and sync the data in the cloud when the internet is back up and running. This allows restaurant chains to benefit from a cloud-hosted system where all sales data across the locations can be monitored in real time from any internet browser, while also relying on local hosting as a backup. 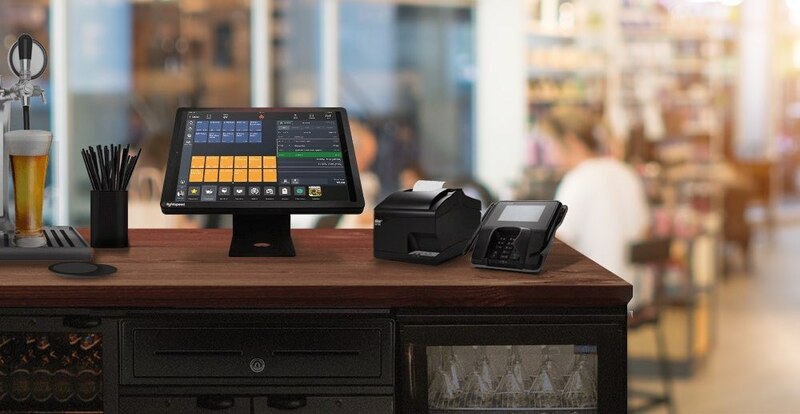 Alternatively, some cloud POS software offers an offline mode that keeps the POS functioning during no connectivity, then syncs all the new data with the backend when the local system is back online. 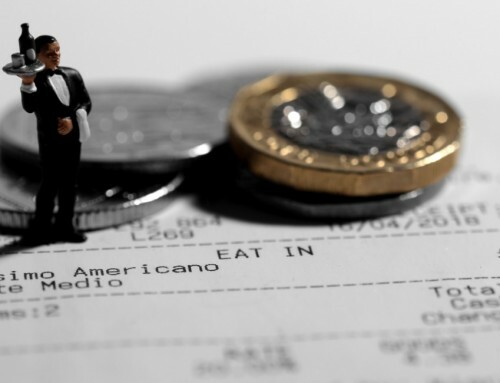 Tips vs. service charge – what’s the difference and which should you accept?